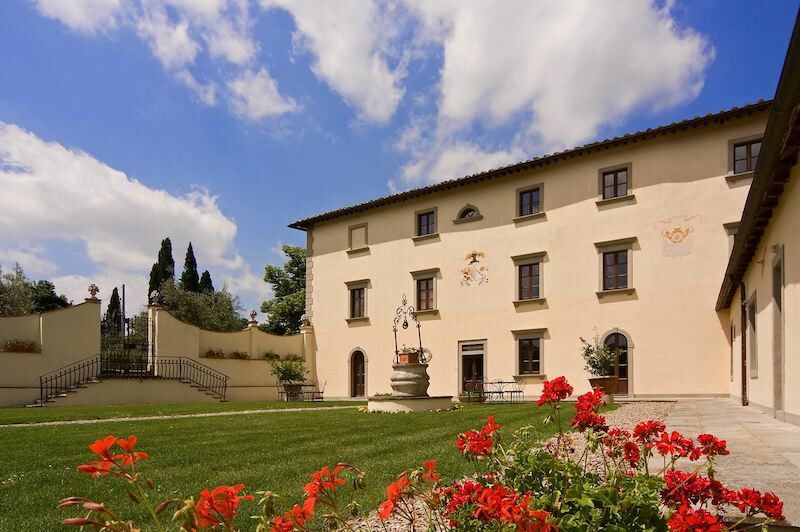 Villa San Polo is a splendid XVI century villa situated in the center of a huge estate filled with olive-groves and vineyards near Arezzo, the old town center of which is just a few minutes away. 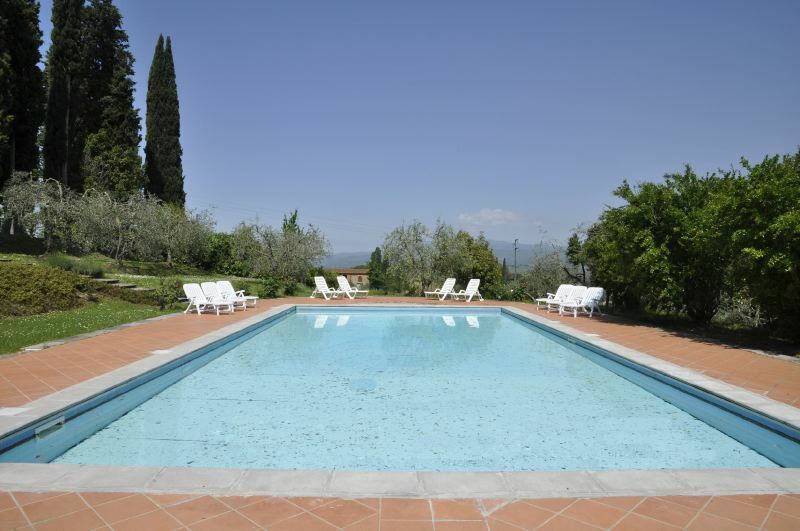 The villa is located on the gentle hills to the east of the town, in a splendid commanding and panoramic position. The farm on which the property is located was set up after the war and developed during the 1960s. Today it is an important wine-making estate exporting its products all over the world. The villa has recently been renovated and transformed into a very attractive, tastefully furnished residence with all mod cons and quality furniture. The bedrooms all have air-conditioning, which, if necessary, can be moved to the living areas, and to the dining room. The large outdoor swimming pool (8 x 16 m), which is in a beautiful position, is provided for the exclusive use of the guests. There are many places of artistic interest worth visiting nearby. In fact, in addition to the town of Arezzo, the Casentino region, with its castles and the hermitages of La Verna and Camaldoli, is just 20 minutes away by car. It is possible to organize day trips to Florence which can be reached in less than one hour by car or even by train. The Etruscan town of Cortona and Lake Trasimeno are just 30 km away. Perugia and Siena: 50 Km. Breakfast can be provided on request. The caretaker and his family live in an apartment adjacent to the villa with an independent entrance. GROUND FLOOR: living room with fireplace, lounge with TV, study-library, dining room, panoramic veranda, kitchen with oven, freezer, dishwasher and washing machine, 1 bathroom with shower. FIRST FLOOR: hall with fireplace, 1 double bedroom with bathroom and bathtub, 1 twin bedroom with bathroom and bathtub, 2 double bedrooms with French-style bed (140 cm) and 1 shared bathroom with shower. SECOND FLOOR: living room, 3 double bedrooms with bathroom and bathtub, 1 double bedroom, 1 bedroom with twin beds, 1 bathroom with bathtub. In this version 3 bedrooms and 2 bathrooms are not available.